The movie The Last Samurai staring Tom Cruise in 2003 was an idealistic, epic style portrayal of the samurai movie, though it did not touch me much. A Japanese film critic thought The Last Samurai gave a “storybook” portrayal of the samurai, saying, “Our image of samurai are that they were more corrupt.” To me, the epic was depicted in such a Hollywood style naiveté, such a glamorous way that it felt like a fairytale. I suppose neither the director nor the producer were interested in what really happened to the last samurai; it was just good material for them to use to develop an epic style movie. I much prefer the realistic approach of another movie depicting the last days of the samurai called Twilight Samurai that was made in Japan in 2002. I feel like I meet the “last samurai” on many occasions nowadays in the textile industry in the Western world. The decline in business in the Western world has devastated textile mills, and this upsets me. Earlier this month, I was at Mood, a convention of textile mills held in Brussels every year. I met a venerable textile chemist who has been in the business all his life. We talked for over two hours about the past and the present, about how the surge of environmental interest benefited the human environment but made the textile industry in developed countries so much less competitive in terms of price and finishing. I am now at North Carolina State University taking a textile technology class. The chairperson of the program told me how difficult it is for the school to conduct research because of insufficient support from the commercial world. 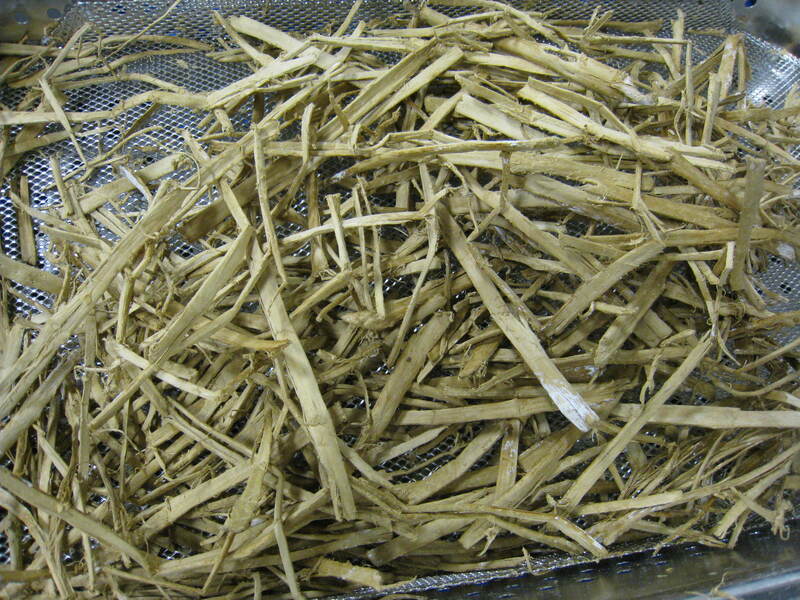 He was interested in developing tobacco fiber: Since the tobacco plant’s stalks are thrown away, he wanted to find a way to extrude the fibers from the stalk. However, textile enzyme companies are not interested in researching enzymes for him because they foresee a low return on their investment. I suppose if a large conglomerate were behind the project, it would make the enzyme company more interested in collaborating. The school alone cannot motivate the project. NC State has a pool of veterans in textile technology and plenty of experience from the real world of weaving and finishing, but they cannot further their research because of a market issue. These are my last samurai. This is a picture of tobacco stalks I took at NC State University. You are currently reading The Last Samurai at Woven-Words.